And next to ice cream, what's also important in summer? Protecting our skin of course! I have three new Clinique sun protection products to show you! I already talked about my favorite sunscreens, but then these from Clinique came in. What does Clinique have to protect us against the sun? A face cream, a body cream and an after sun! The face and body cream don't really differ that much in feeling. The cream feels firm, but smears out perfectly. What's important to know about these sunscreens? They are (like all Clinique products) tested on allergies, even on photoallergy and phototoxicity. They are oil-free and water-resistant. Both of them contain antioxidants and are tested by eye doctors. They don't clog pores and they have a ratio of 3:1 protection against UVB/UVA-rays. All three products also have no scent, pretty rare for a sunscreen. There are only a few sunscreens that I personally like (the scent). And because of the overwhelming scent of some sunscreens, you can't even wear perfume. So I'm definitely not sad that these products don't have a scent. The after sun can be seen as a moisturizing balm with aloe that calms the skin. It also works against that annoying skin peeling. On the swatches you can see that the after sun (the first swatch) is more of a watery balm, and the two sunscreens are very firm. These are just qualitatively great products, as I would have expected from Clinique. 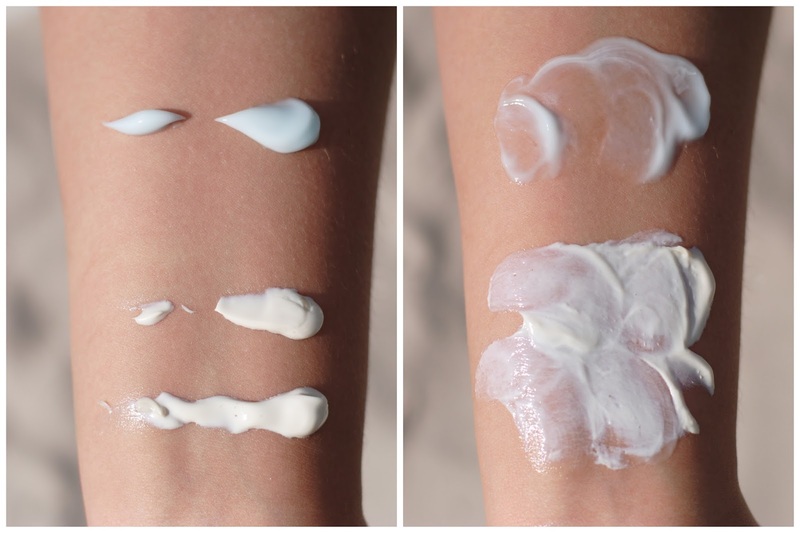 Which sunscreen(s) do you use? These are great! Thanks for letting me test them because these are one of the best sunscreens i've tried! And the pictures are really beautiful! Die after sun heeft een mooie swatch, lijkt mij heel fijn! Ja, dat heb ik met m'n gevoelig wit huidje nodig, ben vandaag verbrand na een uurtje buiten lunchen, hoewel ik me had ingesmeerd. Gotta love being pale ;) Maar deze crèmes moet ik dus duidelijk eens proberen, ze klinken echt top! Mooie packaging ook, en zoals altijd heb je weer prachtige foto's gemaakt. I love Clinique's sunscreen. Great stuff. Love your pictures!!! Wonderful review!